Most children of divorced or separated parents spend at least some years in single-parent households. Another increasingly large group live with single parents who were never married. A smaller number have widowed parents. If you’re a single parent, brace up and take the bull by the horn. Raise your child according to your beliefs, principles, and rules under God. Single parents often develop closer bonds with their children. Don’t let frustration drive them away from you. Take hold of your spirit. When the father is the single parent, he may become more nurturing and more active in his child’s daily life than most fathers in two-parent households. Children in single-parent households may become more independent and mature because they have more responsibility within the family. Single parenthood is not easy, though, for parents or children. It generally means less income and a lower standard of living. Getting and holding a job may be difficult if you have a little child and can’t arrange or afford child care. Without another person to share the day-in, day-out job of parenting and maintaining the household, you may find yourself socially isolated. Here are some suggestions that may help you meet your own emotional needs while raising your child(ren). *Draw closer to God. Develop a better relationship with Him. Make Him your best friend. Learn to off-load your fears before Him. Let Him in on every detail. He cares and wants your soul to prosper. *Take advantage of all available resources to find help in caring for the kids especially if you have an infant. Don’t pose yourself as a super-woman. Seek help when you need it. * Maintain your sense of humour as much as possible. Try to see the positive or humorous side of everyday surprises and challenges. * For your family’s sake as well as your own, take care of yourself. See your doctor when you need to. Eat properly. Get enough rest, exercise and sleep. Make sure you hair and clothes are well kept too. * Set a regular time when you can take a break without your child(ren). Relax with friends. Pursue hobbies. Join godly groups. Do things that interest you. Pursue a social life of your own. * Don’t feel guilty because your child has only one parent. There are plenty of families in the same situation. you didn’t “do it to her”, and you don’t need to penalize yourself or spoil your child to make amends. Feeling and acting guilty won’t help anyone. * Don’t look for problems where none exists. 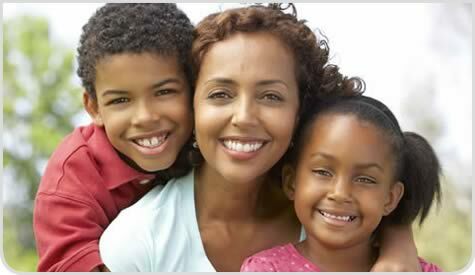 Many children grow up very well in single-parent homes, while others have a great many problems in two-parent homes. Being a single parent doesn’t necessarily mean you’ll have more problems or have more trouble resolving them. With God on your side, you’ll pull through successfully. *Create as large a support network for yourself as possible. Keep active lists of relatives, friends and community services that can help with child care. Establish friendships with other families who will let you know of community opportunities and are willing to exchange babysitting. * Talk to trusted relatives, friends and professionals such as your paediatrician about your child’s behaviour, development and relationships within the family. Remember, you are not alone. Jesus loves you. We love you too. The joy of the Lord is your strength!